Hello, and yes we are still alive. We are doing our annual Christmas Advent. This year we are covering Christmas Decorations. 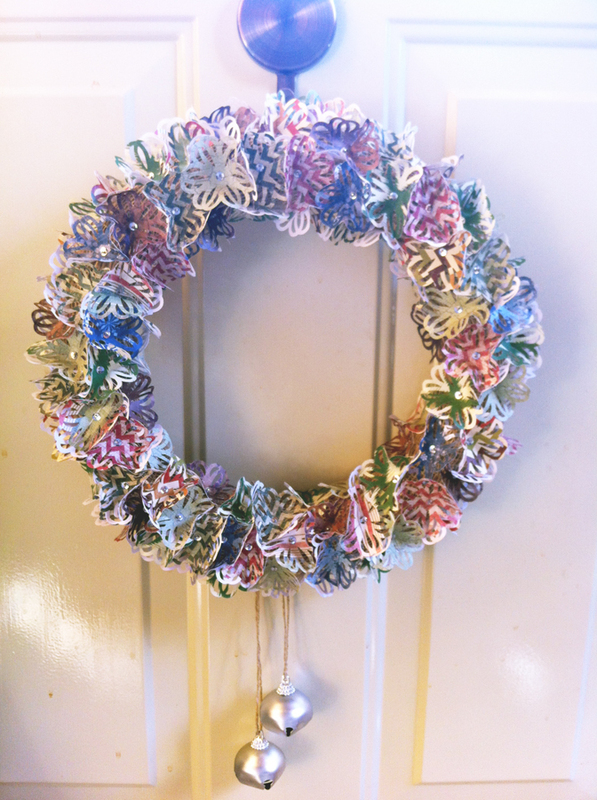 I decided to to do a Christmas wreath and have been playing with paper lately and thus my Christmas Paper Wreath was made. 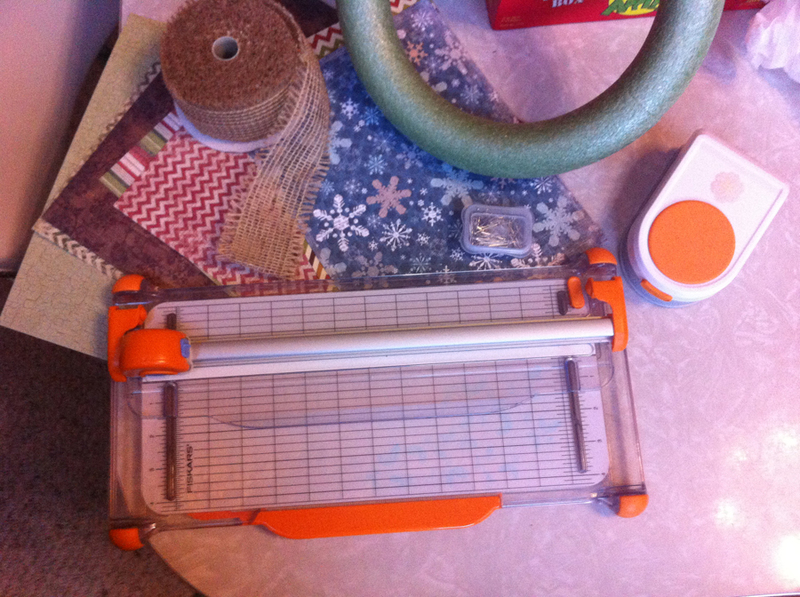 The paper punch I chose cuts out a 2 1/2″ shape, so I cut my scrapbook paper into 3″ swathes. 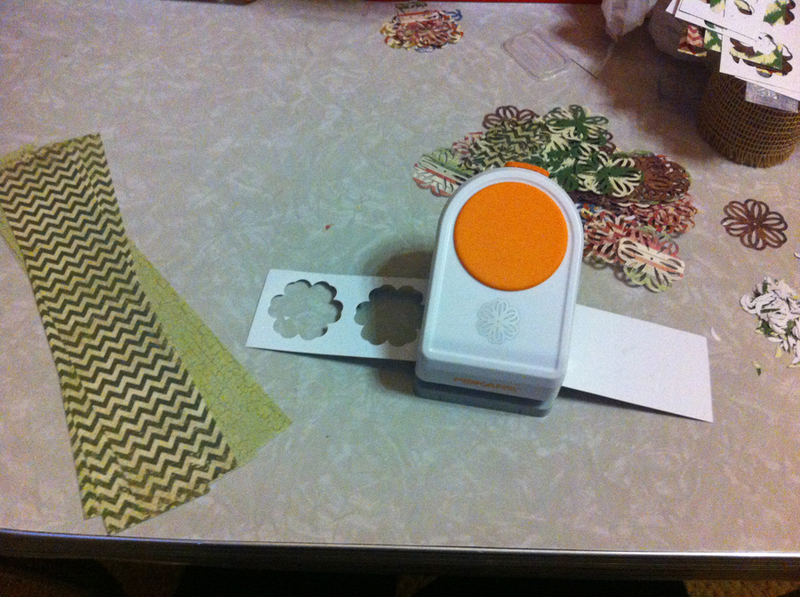 This I then ran through my paper punch and cut out my florets. 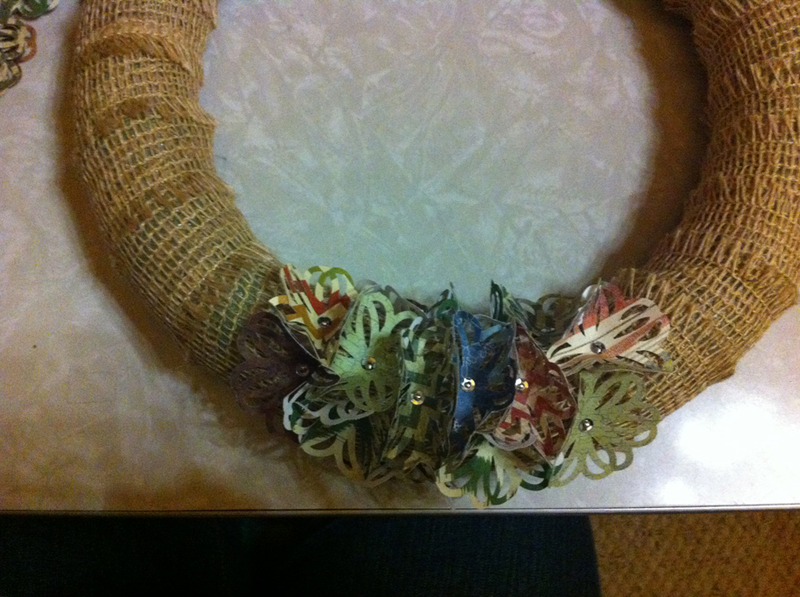 Once I had all my florets, I wrapped the foam wreath with the burlap ribbon. 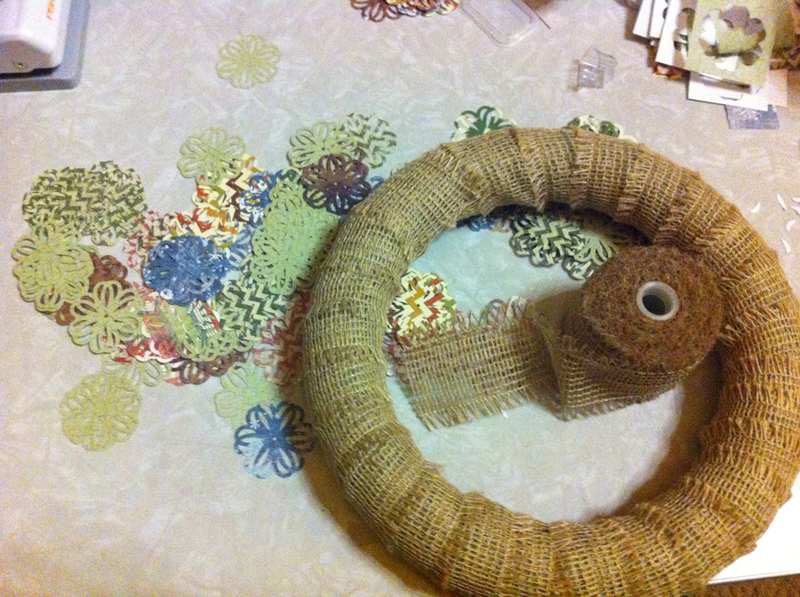 I used pins to hold the burlap in place (I was trying to keep my supplies to a minimum, but you could use hot glue here if you preferred). I attached the hanger and bells at the very end, but realistically, this would have been the best time. 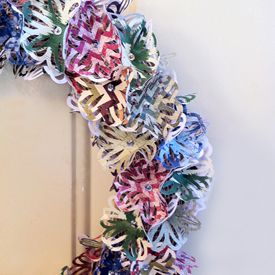 It worked just fine adding these at the end of the project, but I could have hidden them better had I tied them around the wreath before adding the florets. 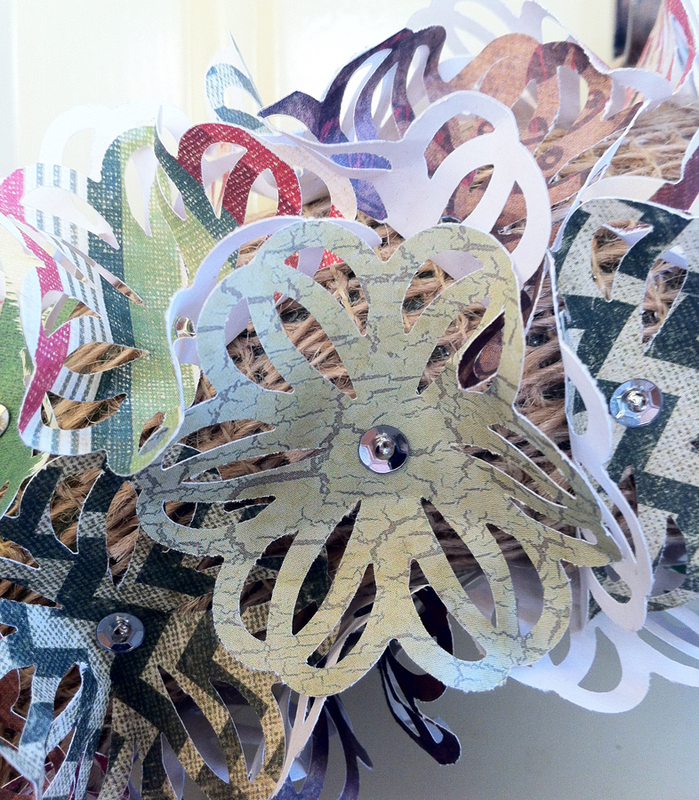 Next, I started attaching the florets. I have to tell you about my error now. I bought large head beading pins for this project and thought they would be large enough that they would hold the florets by themselves. However, once I tried to hold the florets in place with the pins I discovered that I was wrong. I needed something to go between the pinheads and the florets. You could use just about anything, I chose to use silver sequins. I imagine that small beads would also have been lovely. Once you put the pin through the floret, use your fingers to bend the floret up into a flower cup shape. This is what gives the florets three dimensions. Just keep pinning the florets to the wreath all the way around, being sure to cover the inside and outside of the wreath. I made sure that none of the florets were flat on the wreath. I would pull up the edges of the nearby florets so that the edges were all up and none were flat. 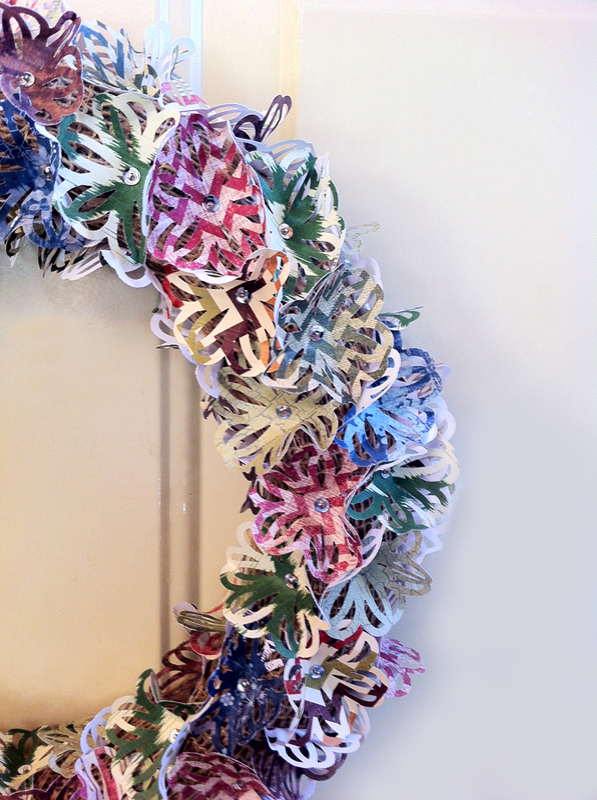 Here you can see the burlap ribbon under the florets, but once the wreath is complete, you cannot see the burlap from a regular distance away. I love the way it turned out. It looks great hanging on my front door.